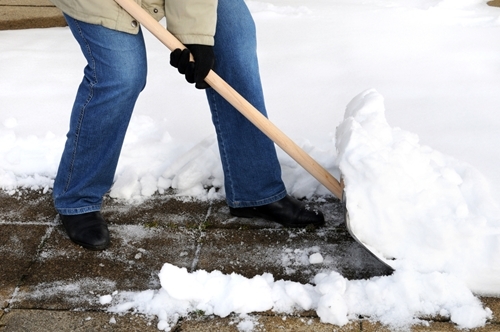 Snow can be a blessing and a curse for your business. A dusting of light, airy flakes can turn your storefront into a picturesque winter scene that draws customer in, but too much can send them scrambling back to their houses until spring. Effective marketing means taking advantage of whatever tools are available to your business, and even a snowstorm presents its own special ways to get a leg up on the competition with some unique promotional marketing products. When your customers are getting ready in the morning and see that they need to go out in the snow to clean off their cars, the last thing they’re going to reach for is a wall calendar or pen. Instead, you should mix some functional items into your promotional giveaway strategy to equate your brand with usefulness and functionality. Myron’s Custom Ice Scraper Glove is the perfect tool when your customers’ windshields are caked in ice. Customers are more likely to interact with a promotional product that satisfies some need, Forbes magazine explained, and they’re just as likely to hold onto something that cleans their cars and keeps their hands warm at the same time. Not everything you give away needs to be strictly utilitarian. Your customers expect to be pampered a bit when they’re in your store, so why should it be any different when they’re using one of your promotional products? That’s what makes Myron’s Merida Men’s Sheepskin Gloves such an effective giveaway – not only can it make your customers more comfortable wherever they are, but coworkers and friends might ask them where they got that particularly luxurious item. With a simple pair of gloves, you’ve successfully initiated word-of-mouth advertising of your business. In no time you could see a massive return on investment. Whatever promotional item you decide to give away this winter, make sure your focus stays on the customers. If you can give them a promotional item they want, they’ll quickly come to associate your business with all the attributes that drive a long and meaningful brand-to-consumer relationship. Promotional items can be an effective way to get your foot in the door of many consumers’ lives and to show them that your brand can help them lead happier lives.